Can you help vulnerable people in custody? Could you be an Appropriate Adult? 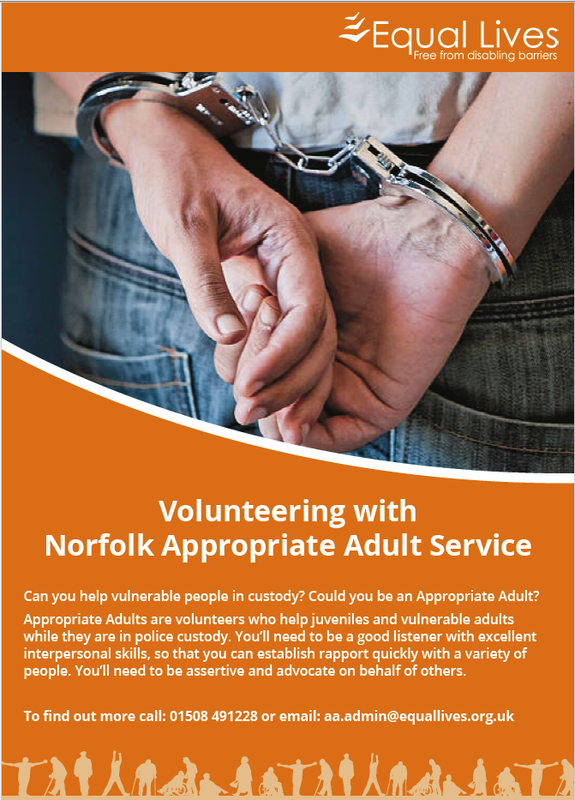 Appropriate Adults are volunteers who help juveniles and vulnerable adults while they are in police custody. You'll need to be a good listener with excellent interpersonal skills, so that you can establishrapport quickly with a variety of people. You'll need to be assertive and advocate on behalf of others. To find out more call or email on the details listed.